Comedy is a family business for the Khorsandi's. Shappi has just come back from LA where, not only did she perform her own one hour show, but she also did a seven week sell-out run with her brother in a show called How to be Iranian. Other work in America includes a month-long tour supporting her father in his extremely popular stand-up show. 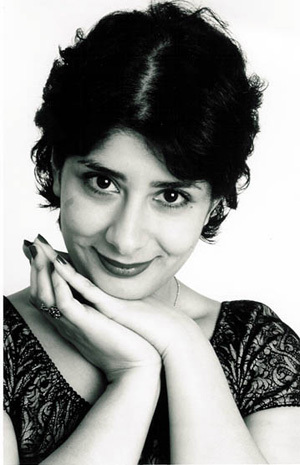 Shappi has already established herself on the London comedy circuit, regularly playing The Monday Club at Madame Jo Jo's, The Cosmic and Downstairs at The King's Head, among others. She has performed at Glastonbury as well as various clubs around the country, and is currently working for Avalon, Real Talent and Mirth Control. Shappi has been chosen to perform with Jeremy Hardy, Meera Syal, and Arj Barker at The Union Chapel, Islington in a benefit gig for asylum seekers.